Josh Korda's talks at Dharmapunx NYC . To support the teachings one can donate on dharmapunxnyc.podbean.com or dharmapunxnyc.com. talk on the damaged relational patterns that underlie addictive and compulsive behaviors, along with a guided meditation that addresses these wounds to the human psyche. 30 minute talk followed by 30 minute guided meditation. Talk and guided meditation exploring self-soothing techniques. Talk and guided meditation on the theme. Note: Due to a recording malfunction only an abridged version of the meditation's was recorded. Talk exploring the underlying two keys to address frustration and outrage, taking adaptive actions, and finally starting the process of forgiveness. Talk on seasonal depression and mood shifts, followed by a meditation to process difficult emotional states of being. Talk exploring unconscious psychological factors contributing to intrusive ideations and methods to address these cognitions, both in the short and long term. Talk and guided meditation; the talk presents an overview of early buddhist and contemporary clinical insights into the psychology processes underlying the sudden switch from a safe and confident state into a hypervigilant, survival mode; the meditation explores self-soothing during triggered states, and de-activating triggering individuals. Talk and Guided meditation on the three nervous system states and neural correlates underpinning helping others skillfully, without being dysregulated via emotion contagion. Recorded December 31 2018 in Brooklyn NY, from 11pm to just before midnight (after which the sangha chanted the Buddhist refuges and precepts). 34 minute talk and 26 minute guided meditation on the theme. 30 minute talk and 29 minute guided meditation on transforming ingrained behaviors and perceptions through developing a sustained awareness of underlying feelings. Dharma talk and guided meditation exploring the theme. Hour long episode. A talk summarizing the Buddha's insights into one of the most pernicious catalysts of suffering, why self-improvement regimes invariably leave us disappointed and often with even more damaged states of inner esteem, and the psychologically sound practices to process emotional wounds. Also: Join us for our last retreat of the year! And join us for our last retreat of the year! Talk and guided meditation on the process of overriding fear through visualization process. Talk on the concept of core shame, what causes it, how it leads to self-doubt, perfectionism, imposter syndrome, vulnerability and avoidant coping patterns, and a guided meditation demonstrating how to alleviate core shame in practice. 25 minute talk + 25 minute meditation which further investigates the theme. 36 minute talk, 27 minute guided meditation on the theme. Caspers, K. M., Troutman, B., & Spinks, R. (2006). Attachment as an organizer of behavior: implications for substance abuse problems and willingness to seek treatment. Schindler, A., TSack, P. M., Kustner, U. & Eckert, J. (2005). Attachment and substance use disorders. Talk given at Akazienzendo in Schoneburg Berlin. 32 minute talk + 26 minute guided meditation on the theme. 31 minute talk, 29 minute meditation exploring the theme. 28 minute talk, 27 minute meditation practicing the concepts + brief conclusion. 34 minute talk followed by 26 minute meditation related to the theme. 27 minute talk +30 minute guided meditation exploring the topic, including exploring how the brahma viharas can heal early emotional wounds. 30 minute talk followed by 30 minute guided meditation on the theme. 35 minute talk, 25 minute meditation on the theme. 42 minute spontaneous talk given by Noah Levine and Josh Korda at Against the Stream Meditation Center, Febuary 26, 2018. 31 minute talk + 30 minute meditation on the theme. 30 minute talk followed by 30 minute meditation. 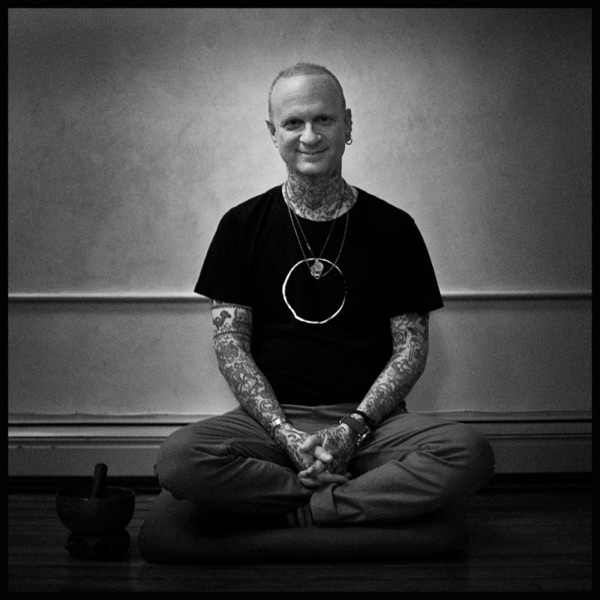 37 minute long guided meditation from dharma punx nyc retreat. 32 minute talk + 29 minute meditation + 8 minutes of answers to various questions. 25 minute talk followed by guided meditation on the theme. 27 minute guided meditation developing tools for coping with stressful contexts and challenges. Meditation excerpted from the talk on the role of consciousness in behavior. Recording starts with the last four minutes of a 30 minute meditation, featuring reflections on previous year, followed by a talk on setting appropriate intentions and how to keep them, followed by Buddhist Refuge and Precepts Ceremony. Live at Against the Stream San Francico... “Unsubscribe: Opt Out of Delusion, Tune into the Truth"
34 minute talk on the main themes of "Unsubscribe: Opt Out of Delusion, Tune Into the Truth." 30 minute tak covering some basic psychological considerations. Talk from a Dharma Punx NYC retreat, October 2017. 35 minute talk. 25 minute guided meditation on alleviating guilt. thanks for donating if you can contribute. Even the smallest contributions help support the teachings. The donation button can be found in the right hand column. *A General Theory of Love (Thomas et al), Love 2.0 (Frederickson), Affect Regulation (Schore), Emotion Focused Therapy (Greenberg), Affect Regulation, Mentalization, and the Development of the Self (Fonagy). This talk explores how focusing, a method of insight developed by the late psychiatrist Eugene Gendlin—especially when used as a meditation practice similar to the Buddha's Vedananusati, or awareness of feelings—can create an important shift in the way we somatically process experience, which in turn can lead to real behavioral change. NOTE: During the same week I gave this talk Tricycle Magazine appeared with an excellent article on the same subject by David Rome. If you'd like to support the teachings, the donation button is in the right margin. Talks at Garrison Institute: How do I know Who I am When I'm Not Even Supposed to Ask? One of four talks given at a 5 day retreat led by Josh Korda & Heather Sundberg at Garrison Institute, July 11 - 16, 2017. Feel invited to donate using the button in the right margin. In the 2,500 year old tradition I teach entirely by dana, scraping by on the donations of those who listen to the teachings. The donation button is in the right margin. Josh Korda and Dr. Stephen Dansiger, co-founder of Refuge Recovery Treatment Centers and developer of addiction treatment modalities discuss the causes and treatment approaches to addiction and trauma. —>Note, due to low microphone battery the recording quality is less than palatable, but the talks' merits make it worth posting nonetheless. In the 2,500 year old tradition I teach entirely by dana, scraping by on the generous donations of those who listen and get something from the teaching. The donation button is in the right margin. In the 2,500 year old tradition I teach entirely by dana, scraping by on the generous donations of those who listen and get something from the teaching. The donation button is in the right margin. In the 2,500 year old tradition I teach entirely by dana, scraping by on the generous donations of those who listen and get something from the teaching. The donation button is in the right margin of this page. 8 Minute Introduction followed by 24 minute meditation. The donation button is in the right margin of this page. Talk on the third foundation of mindfulness. In the 2,500 year old tradition I teach entirely by dana, scraping by on the generous donations of those who listen and get something from the teaching. The donation button is in the right margin of this page. In the 2,500 year old tradition I teach entirely by dana: scraping by entirely on the generous donations of those who listen and get something from the teaching. The donation button is in the right margin of this page. 29 minute guided meditation introducing a basic 'choiceless awareness' practice. In the 2,500 year old tradition I teach entirely by dana: scraping by entirely on the generous donations of those who listen and get something from the teaching. NOTE: This talk contains a variation of method one meditation by Ajahn Lee, which can be found online here. In the 2,500 year old tradition I teach entirely by dana: scraping by entirely on the generous donations of those who listen and get something from the teaching. Please check out dharmapunxnyc.com for info about our classes & retreats. The donation button is in the right margin of this page; if you'd like to support the teachings in smaller, monthly donations, on dharmapunxnyc.com there's a monthly subscription available. Talk given at Downey House, Wesleyan University, October 26, 2016 on the topic of skillfully harnessing the emotions of anger and fear. Thanks to Kate Gilbert, Rabbi David Teva, Gregory Besek of Wesleyan for arranging the evening. Talks given at the 4th Annual Dharma Punx NYC autumn retreat on using mindfulness to develop self-integration of the divided brain. In the 2,500 year old tradition I teach entirely by dana: scraping by entirely on the generous donations of those who listen and get something from the teaching. Please check out dharmapunxnyc.com for info about our classes & retreats. Two talks given at a day long retreat in Philadelphia, September 24, 2016. These talks are similar to those given at Garrison Institute, focusing on emotion awareness and integration. The donation button is in the right margin of this page; if you'd like to support the teachings in smaller, monthly donations, on dharmapunxnyc.com there's a monthly subscription available. Talk at Garrison Institute on emotion awareness and integration. In the 2,500 year old tradition I teach entirely by dana: scraping by entirely on the generous donations of those who listen and get something from the teaching. Please check out dharmapunxnyc.com for info about our classes & retreats. Please check out dharmapunxnyc.com for info about classes and retreats, etc. The donation paypal button is in the right margin of this page. If you like this talk, please consider donating: In the 2,500 year old tradition I teach entirely by dana: scraping by entirely on the generous donations of those who listen and get something from the teaching. The donation paypal button is in the right margin of this page. Please check out dharmapunxnyc.com for info about classes and retreats, etc. This talk, followed by a meditation and instructions for group interactions, was given at the Second DharmaPunx NYC Spring Retreat at Garrison Institute on May 14, 2016. This talk, followed by a short meditation, was given at the Second DharmaPunx NYC Spring Retreat at Garrison Institute on May 13, 2016. If you like this talk, please consider donating: I teach entirely by dana: I scrape by entirely on the generous donations of those who listen and get something from the teaching. A donation paypal button is in the right margin of this page. For info on retreats and meetings, check out dharmapunxnyc.com. Why Do I Feel the Way That I Do? If you like this talk, please consider donating: I teach entirely by dana: in other words, I scrape by entirely on the generous donations of those who listen and get something from the teaching. Talk given in the memory of our friend Lauren Davis, killed age 34, on April 15, 2016. Listen in to special, widely attended evening at Dharma Punx New York, during which old friends Dr. Stephen Dansiger, clinical director of Refuge Recovery and Josh Korda, guiding teacher of DPxNYC, discussed and unpacked the underlying causes of addiction from the perspectives of attachment disorders and trauma; the talks then moved on to a review of available treatments, wherein the 12 step, refuge recovery, therapeutic and EMDR approaches were discussed. Steve and Josh field a number of questions from the floor as well on this subject. This series of talks were given from february 20 - 25, 2016 at a retreat in New Life Foundation (newlifethaifoundation.com), a mindfulness based recovery center near Chiang Ria, Northern Thailand, not far from the border with Laos. To support these teachings, please donate using the paypal button. This series of talks were given from february 20 - 25, 2016 at a retreat in New Life Foundation, a mindfulness based recovery center near Chiang Ria, Northern Thailand, not far from the border with Laos. NOTE: Talks 2 - 4 have significant background noise, as a nearby buddhist wat was celebrating the adding of a dragon statue to the top of the monastery roof; for such a small village it was a big deal. If you like this talk, please consider donating: I teach entirely by dana: in other words, I scrape by entirely on the generous donations of those who listen and get something from the teaching. The donation paypal button is in the right margin of this page. Please check out dharmapunxnyc.com for info about classes and one-on-one counseling, retreats, etc. Note: The quality of this recording is marred at times by fabric rustling against iphone microphone, but I'm uploading it to the podcast site as the topic may be of enough interest to make it worth listening to for some. Talk given at Zencare, january 9, 2016. If you like this talk, please consider donating! In the 2,500 year old tradition I teach entirely by dana: in other words, I scrape by entirely on the generous donations of those who listen and get something from the teaching. This talk, short meditation and intention setting chant was presented December 31st, 2015 at Maha Rose Studio in Greenpoint Brooklyn in front of a full house. If you like this talk, please consider donating! In the 2,500 year old tradition I teach entirely by dana: scraping by entirely on the generous donations of those who listen and get something from the teaching. If you like this talk, please consider donating! In the 2,500 year old tradition I teach entirely by dana: in other words, I scrape by entirely on the generous donations of those who listen and get something from the teaching. The donation paypal button is in the right margin of this page. This is the third in a series of self-contained talks covering some of the major ideas of modern psychology and how they intersect with the insights of the dharma. This talk introduces some of Anna Freud's ideas about defense mechanisms—repression, denial, deflection, intellectualization, etc—and useful ways to live with challenging impulses and energies. This is the second in a series of self-contained talks covering some of the major ideas of modern psychology and how they intersect with the insights of the dharma. This talk introduces Albert Ellis ABC Model of how irrational thoughts and beliefs cause needless suffering, and how this theory overlaps with the Buddha's four noble truths. This is the first in a series of self-contained talks on some of the major ideas of modern psychology and how they intersect with the insights of the dharma. The first talk introduces a few of the great DW Winnicott's theories concerning the true and false self, the good enough mother and the transitional object. This is the second of two talks given November 14 during a daylong workshop at Philadelphia Insight 2015. The two talks present an overview to using basic reflective practices as a way to integrate the emotional and rational minds. This is the first of two talks given November 14 during a daylong workshop at Philadelphia Insight 2015. The two talks present an overview to using basic reflective practices as a way to integrate the emotional and rational minds. The following meditation is my interpretation of the Buddha's wonderful teaching known as The Shorter Teaching on Emptiness. It describes how, though a series of patient reflections, we can gradually shift our attention from the busy world around us to realms of serenity and emptiness. I find it a wonderful practice, and have lead many practitioners through it on retreats. I've made it as streamlined and concrete as possible (the original teaching struck me as somewhat abstract and vague.) It was recorded live on at Dharmapunx NYC, Greenpoint meeting, Monday November 2nd, 2015. This talk and guided meditation was given on Tuesday, August 4th, 2015, at the Againstthestream East Coast 8 day buddhist retreat. If you like this talk, please consider donating using the paypal button; I teach and survive in the Buddhist tradition, making do entirely by donations. This talk was given on Thursday Evening, August 6th, 2015, at the Againstthestream East Coast 8 day buddhist retreat. I'm posting a few of the talks so those who were unable to attend could listen in. This talk was given on monday morning, August 3rd, 2015, the Againstthestream east coast 8 day buddhist retreat. Those who were unable to attend the retreat can listen in to one or two of my talks. If you like this talk, please consider donating! In the 2,500 year old tradition I teach entirely by dana: in other words, I scrape by entirely on the generous donations of those who listen and get something from the teaching. In the 2,500 year old tradition I teach entirely by dana: in other words, I scrape by entirely on the generous donations of those who listen and get something from the teaching. The donation paypal button is in the right margin of this page. The goal of this meditation is to cultivate a non-dual awareness, undermining the perception of 'inside' and 'outside.' Such meditations can be quite trippy and pleasurable for most, though it can be a bit disorienting, so leave time afterwards to return to a mundane state of mind. This meditation was recorded at our Dharmapunx NYC 2014 autumn retreat on saturday august 22nd. The hall created a great deal of reverberation and resonant sounds, and the smart phone recording my voice wasn't close enough, so I've masked some of the audio defects with ambient music I created in garageband. The voice at times can drop to a level that's difficult to discern. Please check out dharmapuxnyc.com for info about classes and one-on-one counseling, retreats, etc. For free access to all of my writing, please visit dharmapunxnyc.blogspot.com. metta! If you like this talk, please consider donating, as in the 2,500 year old tradition I teach entirely by dana: in other words, I scrape by entirely on via generous donations of the people who attend the classes, tune in to the podcast series and seek mentoring. The donation paypal button is in the right margin of this page. Talk given August 12, 2014 to a full house at New York Dharmapunx. Josh started the talk, introducing the theme of authenticity and inauthenticity, the roots of self-abandonment and the false self. A focus was placed on how the performative self leads to feelings of emptiness and the abandoned body. George developed the theme by exploring self and other blame, family systems of dysregulation, ultimately emphasizing the goal of learning how to hold abandonment experiences. If you like this talk, please consider donating a little to the teacher, who teaches entirely by donation and is supported by your generosity. The donation paypal button is in the right margin of this page. Please check out dharmapuxnyc.com for about classes and one-on-one counseling, retreats, etc. For free access to all of Josh's writing, please visit dharmapunxnyc.blogspot.com. Please check out dharmapuxnyc.com for all josh's writings, interviews, information about one-on-one counseling, retreats, etc. why are romantic relationships so difficult? If you like this talk, please consider donating a little to the teacher, who teaches entirely by donation and is supported by your generosity. check out dharmapuxnyc.com for all josh's writings, interviews, teaching schedule, etc. Dharma talk given by Josh Korda at Dharmapunx NYC. Loss Can Lead to Wisdom.